Far from the battlefields of Iraq and Afghanistan, in an unforgiving corner of Arabia, the US and al-Qaeda are fighting a clandestine war of drones and suicide bombers. The battles began in 2006, when twenty-three men tunnelled out of a maximum-security prison in Yemen's capital to their freedom. Later they were joined by a dozen men released from Guantanamo Bay. Together, they formed the core of al-Qaeda on the Arabian Peninsula - and now they and their recruits stand ready to hijack the Arab Spring, from the streets of Syria to hotspots much closer to home. 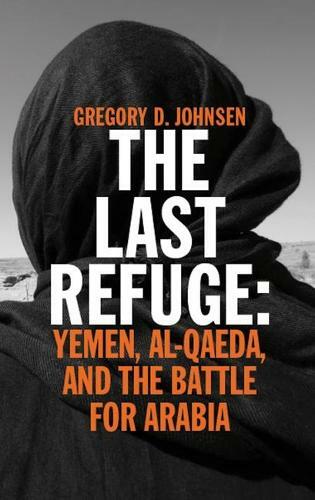 In The Last Refuge, al-Qaeda scholar Gregory D. Johnsen charts the rise, the fall, and the ultimate resurrection of al-Qaeda in Yemen - given new life through a combustion of civil wars, Afghan refugees, and Muhammad's prophetic teachings. Johnsen brings us inside al-Qaeda's training camps and safe houses as the terrorists plot poison attacks and debate how to bring down a plane on Christmas Day. Based on years of on-the-ground interviews and never-before-translated al-Qaeda battle notes, he delivers a riveting and incisive investigation of the state of the Middle East.